On the Banshee webcam, I can see a large clearing behind Banshee. Edit: Never mind, that's been there for a while. Is it a storage lot, or new dorms? 12 years later... Firehawk is gone forever. Facebook Ad for Illegally Recording Video? I agree with this statement 100%. We can begin by blocking him, then write to the CEO of Facebook and/or Twitter asking them to remove him from their platform. If things escalate, we can take legal action against him. I would like something like the Raven's Grin Inn to come to Haunt: http://www.hauntedravensgrin.com/ I love the interactive element of the Raven's Grin Inn house in Mount Carroll, and I think KI would benefit greatly from a haunted house like it. I would love to see this at KI! Did the lift hill turn into an inversion? Because if it did, I love it! Also, did anyone else notice that the track has a bluish-purplish color in the animation if you look closely enough? It sort of reminds me of a poison-dart frog, although I am not trying to start any rumors. @Maverick44 5:00 Eastern, 4:00 Central, give or take 30 minutes. I'm so excited for the new trailer on May 17! Need? Nope. Want? Absolutely! A giga could be a perfect fit for KI, especially in Firehawk's old spot! https://www.visitkingsisland.com/blog/2019/february/‘one-team-village’-will-offer-affordable-housing-option-for-prospective-kings-island-associates\ Hopefully this won't be too much of an eyesore. Based on the artwork, it appears to be near the Eiffel Tower. 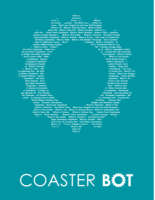 What if the new coaster isn't a giga? I could see a new flat ride package, maybe a different B&M model, but the recent giga rumors from the past few years have been wrong. I'm not trying to be contrary, just reminding people to keep an open mind. Wow, this is such a huge giga! I can't wait to see this record breaker when I go to KI next spring!